Happy National Egg Day! It’s June 3rd, which means that it’s time to celebrate the eggs on your plate and the chickens on your campus. There are two chicken coops located on campus. 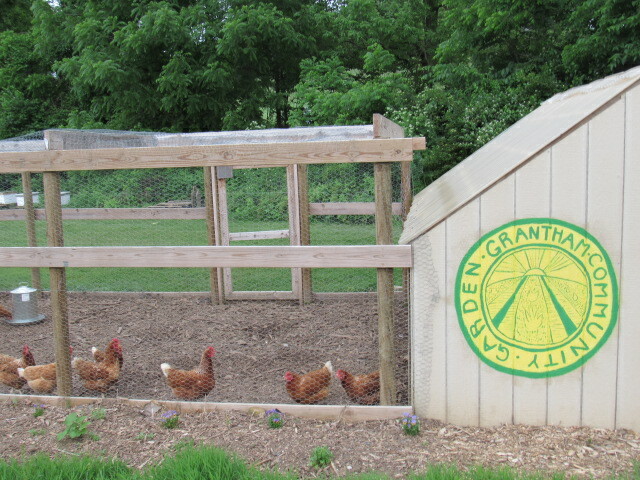 The first can be found near the entrance to campus with the yellow and green “Grantham Community Garden” sign. 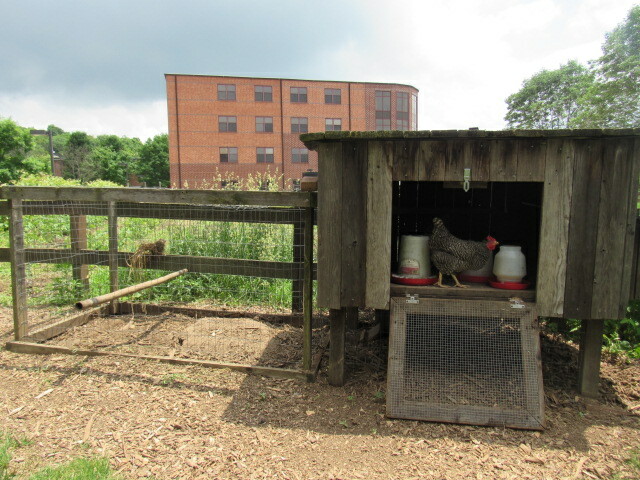 The chickens here are cared for by residents of the Restoration House. The Restoration House includes two special interest houses on campus, one for males and one for females, where students participate in intentional and sustainable community. Senior Restoration House Resident Ian Tan said “The chickens are a tangible representation of the nature that surrounds us. It’s one thing to claim responsibility for sustainability, but another thing to take action and initiative.” Caring for chickens includes providing them with food and water and collecting eggs. On weekdays, eggs are delivered to the Office of Sustainability; on weekends, the Restoration House enjoys the eggs. The second chicken coop is in the Community Garden next to the Kline greenhouse. The Office of Sustainability cares for the chickens here. Three students, Sawyer Rensel, Dana Taylor, and Tetsuo Takahara are tending to both the garden and the chickens over the summer. To learn more about sustainability at Messiah College, check out their website. Nearly 9 out of 10 Americans like eggs. The most popular way to eat eggs is…scrambled! 31% of Americans order scrambled eggs, with “over easy” as a runner up (18%) and omelets in third (17%). 39% of Americans think ketchup on eggs are gross. Only 6% of Americans eat eggs for breakfast every day, but 51% eat eggs two to three times per week. Enjoy your eggs and the sunny-side-up weather today!